Sold my Marathon Blue Metallic 1973 412LE 2 door saloon a number of years ago. Sold it I believe to Martin Booth who used to run the VW Garage in Milnthorpe, Cumbria. So the car was last seen at the garage, which I believe is no longer a VW specialist. Martin lived in Kendal I think I remember, right up on the hill in the new houses behind the college ?? off the A6. Anyone seen it recently or know of its whereabouts ??? Last edited by widdy on 30th August 2010 - 9:01pm, edited 1 time in total. 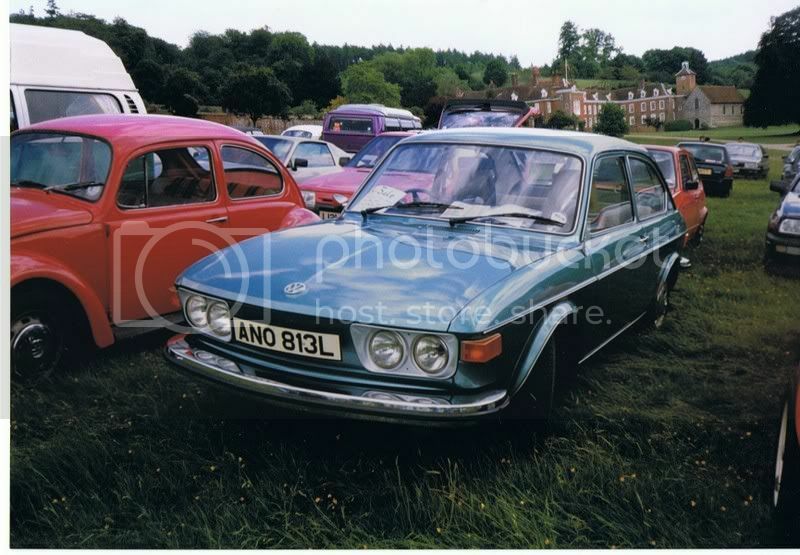 Former owner of concours winning Marathon Blue 412 LE 2 door Saloon. Not been on road since 1999, may be sat in a garage somewhere. Thanks for that, that is probably not long after I sold it then, so who knows where it is. Could be in his garage. Last seen in the Kendal OR Lake District area circa 1999. Has anyone seen it ??? 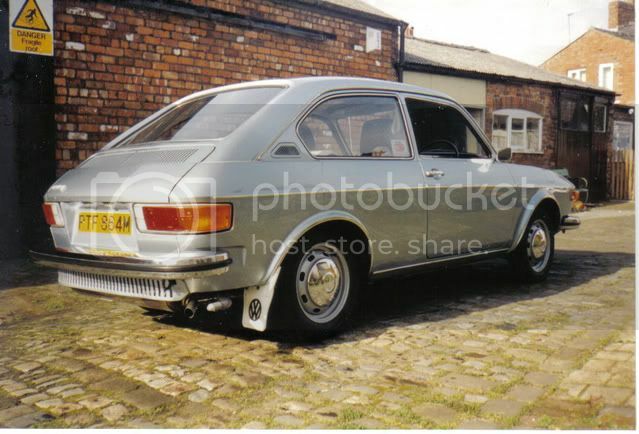 There was a marathon blue 412LE that was on personalised plates that was in superb condition. A man who worked for the war memorial society had it and that was about eight years ago. I have a feeling it might be in the southampton area now. I have photos of it somewhere justn got to find them. I have been wondering about that car recently too. I presume you mean the one that had the Reg VIW 412. This is indeed was in the Southampton area. I believe he has sold it. The owner was Specky VW Freak on here I think. The colour wasn't Marathon Blue though it was that metallic Turquiose. Do you mean this one ?? I found the address that I went to to exchange monies etc when I sold it. It was 4 Cedar Grove, Kendal. Looked on Google street view and nothing there except a Saab in the drive. Could have moved or something. Anybody know the area in the past ?? The one I remember was ANO at the begining and definately was marathon blue. I cant remember where the photos went. Widdy, could you please amend your email in your profile to a valid one, as the forum keeps sending you notes about forums you are watching that end up in my admin file as undeliverable. Thanks. yes that one . That one was in really good condition had a slight dent on the rear wing due to a gate post. So that one is not yours? No ANO was not mine. Mine was PTF, it had a very very slight crease in the n/s, or was it the o/s rear quarter behind the door. I just wonder where it is, whether it be sat in a garage somewhere awaiting time to put back on the road and hopefully not scrapped. I am sorry I didnt know of yours you must have put the total number of 412 2 door saloons upto seven back in 1990. There was very few actually imported of the 2 door saloon. They are very rare. Another new year, another new start trying to see if I can trace my old 412. Anyone know of it or seen it. Last seen in the Kendal/Milnthorpe area, although could be anywhere. Can't help you I'm afraid, but I am the owner of VIW 412 previously mentioned in this thread. 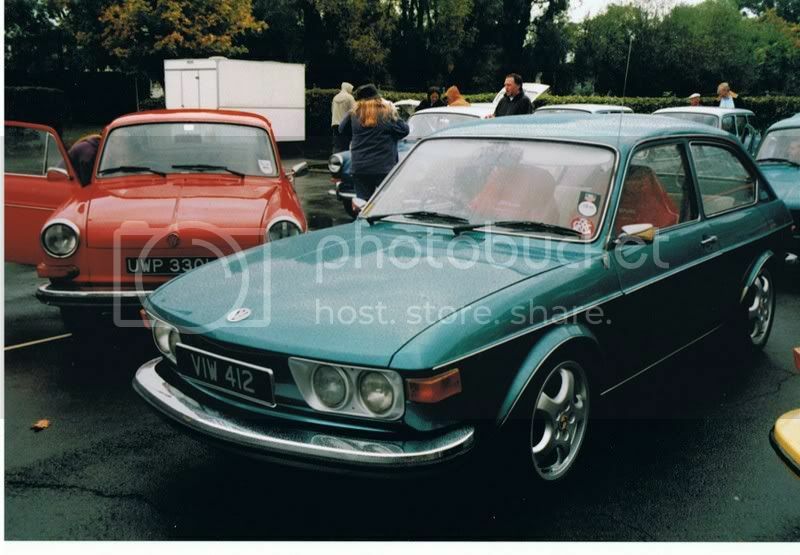 This is the same car as ANO...L. The colour is Turkis Blau. So does anyone know how many 2 door 412 saloons are currently known to exist, or be on the road? Just an update 6 years further on. I was up in the Lancashire area last week and decided to take a trip to Milnthorpe. Visited the garage that used to be owned by Martin Booth, which is now a VW specialist service centre and Mot centre. No sign of anything resembling the remnants of the Martin Booth workshop etc. I was informed that they have been there for approx. 10 years, but there was an interim period between the Martin Booth era ending and the Station garage starting up. Does anyone know anything about who owned/worked there before the current setup of Station Garage. I had a chat with the MOT guy there, drives a really nice Split screen camper and seemed to think that Martin himself has long since retired. He stated he thought Martin had moved on to work at Alan Stephenson & Sons, Old Station yard in Kirkby Lonsdale. They do bus/coach servicing etc. His son is still in the area, so might see if I can track him down and maybe able to glean some more info. If anyone lives in the area and happens to see or hear of this elusive vehicle, please let me know. Should I find out anymore details I will let you all know.